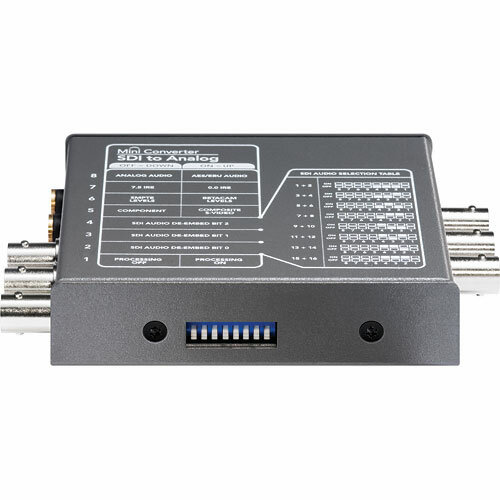 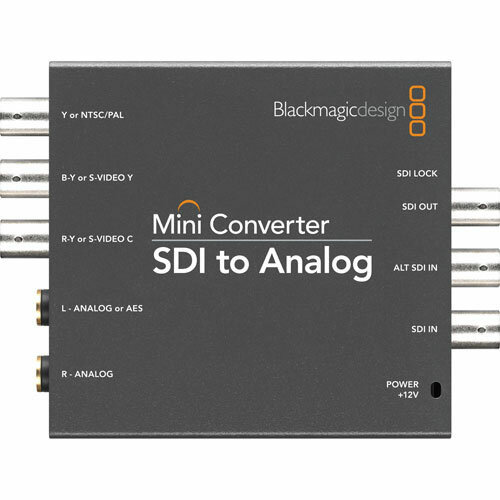 The Mini Converter SDI to Analog from Blackmagic Design will accept an SDI input signal and convert it to HD/SD component, NTSC, PAL, or S-video output. 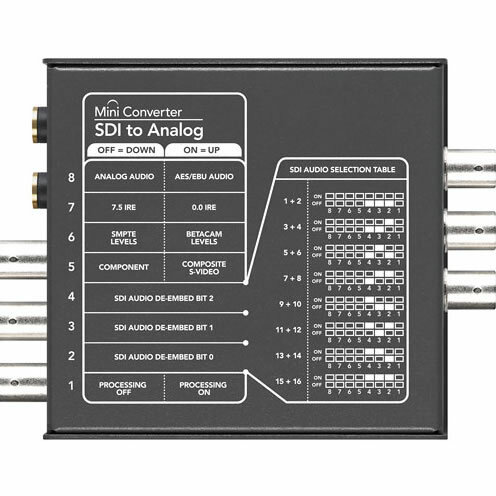 You can also choose to embed SDI audio from balanced AES/EBU or analog audio inputs. 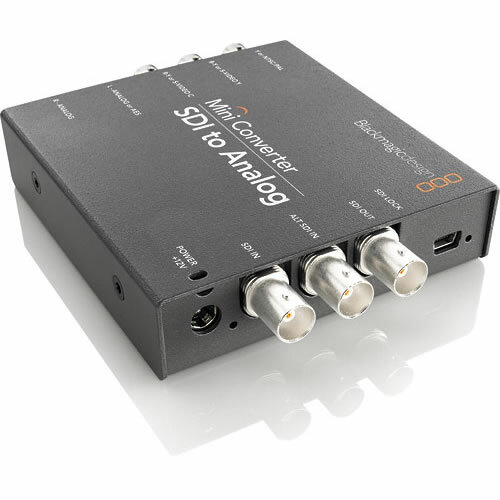 Use this device to convert video from Betacam SP, VHS, set-top boxes, HDV cameras, and other similar devices to SDI-based equipment.